EDIT: Confirmed faked, can be viewed here. 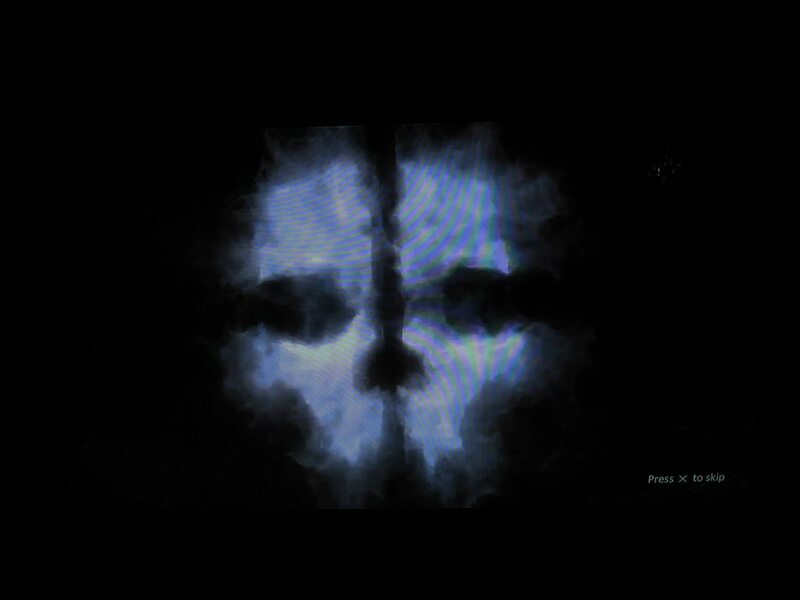 Recently, pictures have surfaced all over the internet, all of which revolve around Activison and Infinity Wards upcoming title; Call of Duty: Ghosts. The pictures all seem real but have not been confirmed real or fake by any officials. In the pictures you can see a hand holding up a piece of paper; listing names, nicknames and usernames of multiple people. 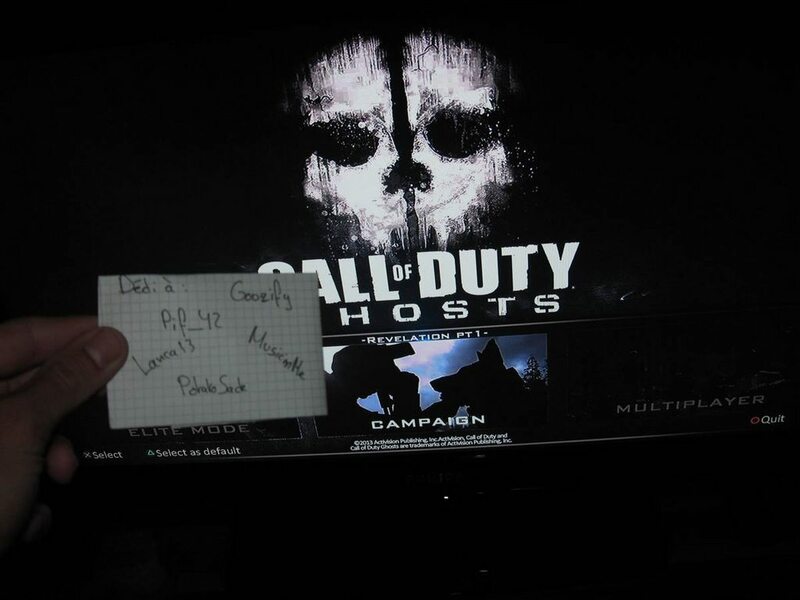 The paper is being held by a guy called Revival (could be a clan/group of sort) in front of a TV with the alleged CoD: Ghosts main menu in the background. 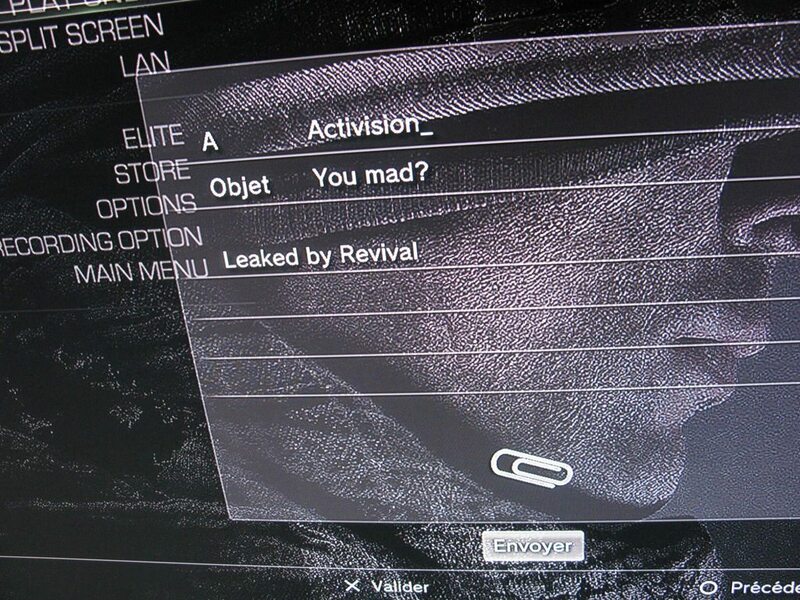 The images seem to be ran off PS3, there is a message that says "Leaked by Revival" with the subject "You mad? "; being sent to the username "Activison_" In some of the screen shots you can see in the top-right corner of the screen "dev_1.3.355". 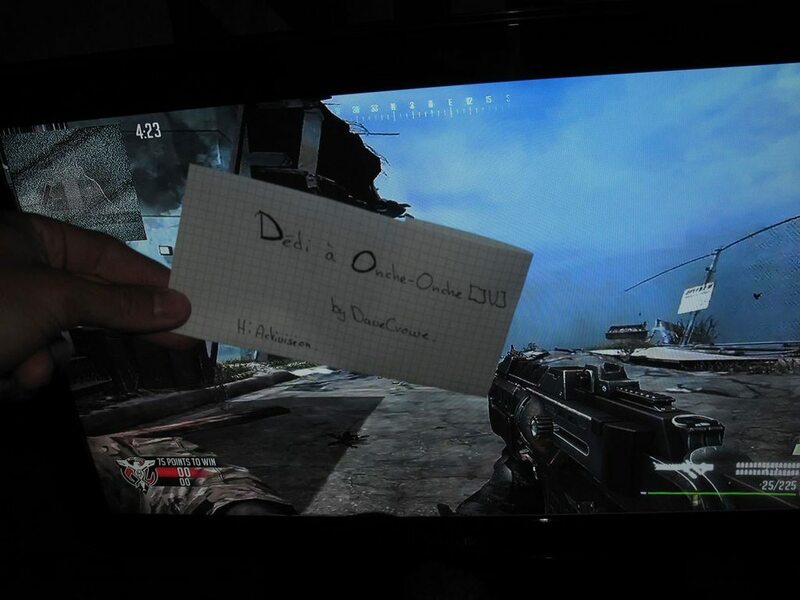 The other screenshot shows the piece of paper being held by someone in front of the screen; the screen shows a gun, timer and basically the HUD of the game. 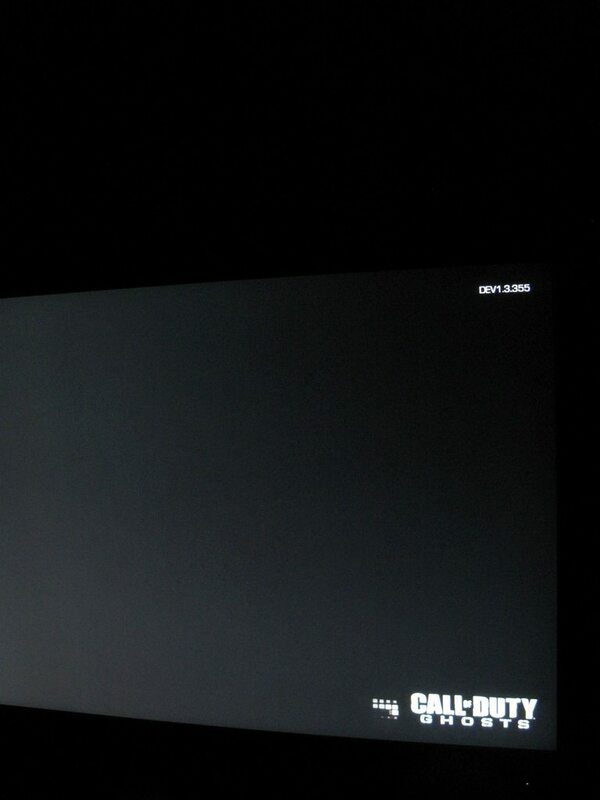 You can also see the loading screen (black screen with the game title/logo) and the last screenshot shows the Luminosity setting. Have multiple copies of the game been leaked? Are they finished the game? Will it be next-gen and current gen? Many questions need to be answered. What do you guys think? 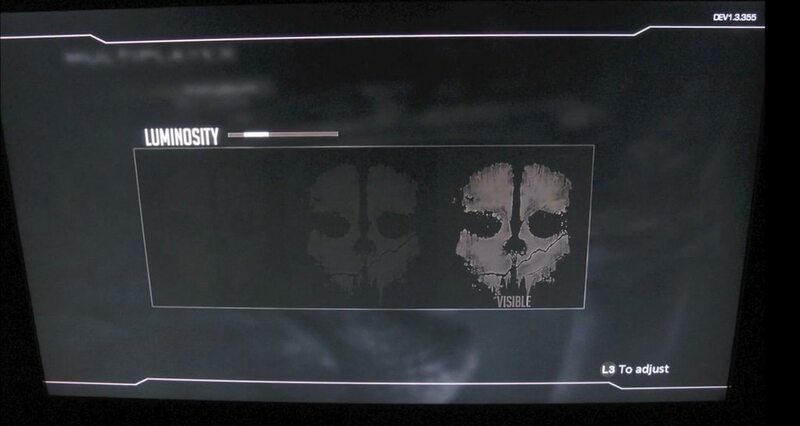 Do the pictures seem legit? How do you think Activison will retaliate?